A look at what the Toys R Us bankruptcy means for customers. 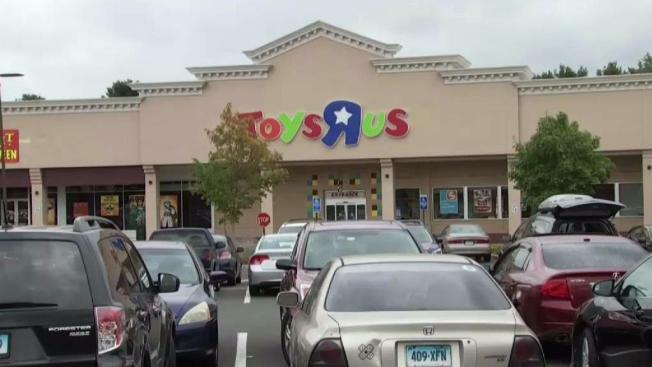 Toys R Us is planning to close up to 182 stores across the United States as part of its bankruptcy reorganization plans. The Wayne, New Jersey-based retailer filed court papers late Tuesday outlining its plans to close 20 percent of its stores in the coming months. Going-out-of-business sales are slated to begin in February with closures continuing through mid-April, Toys R Us Chief Executive Dave Brandon said in a letter posted on the company's website Tuesday night. Is Amazon Go the Grocery Store of the Future? In addition to closing stores, the company intends to convert a number of locations into combined Toys R Us and Babies R Us stores. The closures still need court approval. The company, which filed for bankruptcy protection in September, cited increased competition and a shift in customers moving away from traditional brick-and-mortar stores to shopping online for the decision to shutter the stores. "The reinvention of our brands requires that we make tough decisions about our priorities and focus," Brandon said. The company noted that some closings may be avoided if it is able to negotiate more favorable lease terms. But most of the stores listed in the documents are expected to close as Toys R Us tries to reinvent itself as a leaner, smarter retailer. Paradise Valley: 12801 North Tatum Blvd. Scottsdale: 9139 Indian Bend Rd. Tucson: 4619 N. Oracle Rd. Scottsdale: 7000 E. Mayo Blvd. Mesa: U.S. 60 and Signal Butte Rd. Little Rock: 2616 S. Shackleford Rd. Indio: 42500 Jackson St. .
Santa Clarita: 26573 Carl Boyer Dr.
Puente Hills: 1600 S. Azusa Ave.
Riverside: 2550 Canyon Springs Pkwy S.
Yuba City: 700 "A" Onstott Rd. Folsom: 2785 E. Bidwell St.
San Rafael: 600 Francisco Blvd. Fresno: 3520 W. Shaw Ave.
Mission Bay: 1240 W. Morena Blvd. Mira Mesa: 8181 Mira Mesa Blvd. St. Petersburg: 1900 Tyrone Blvd. Kissimmee: 3214 N John Young Pkwy. S. Des Moines: 1211 E. Army Post Rd. Bangor: 6 Bangor Mall Blvd. Pearl: 200 Bass Pro Dr.
Las Vegas: 2150 North Rainbow Blvd. Phillipsburg: 1280 Rt. 22 & St. James Ave.
Union: 2700 Route 22 East. North Brunswick: 909 US Hwy 1 South. East Hanover: 98 Route 10 West. Mt. Olive: 50 International Drive South. Glens Falls: 708 Upper Glen St.
Middle Village: 66 Metropolitan Ave.
Western Hills: 6251 Glenway Ave.
Dublin: 3610 West Dublin-Granville Rd. Oklahoma City: 1119 SE 66th St.
Norman: 560 Ed Noble Pkwy. Ross Park Mall: 2003 Cheryl Dr.
Beaver Valley: Route 18/Valley View Dr.
Memphis: 7676 Polo Ground Blvd. West El Paso: 801 Mesa Hills Dr.
Newport News: 12153 Jefferson Ave.
Brookfield: 18550 W. Bluemound Rd.